Selling your product or service overseas can be a great way to grow your business. UKTI is inviting local companies that are new to exporting, to join us at a FREE ½ day workshop that will provide you with an introduction to UKTI and an understanding of the benefits of exporting. 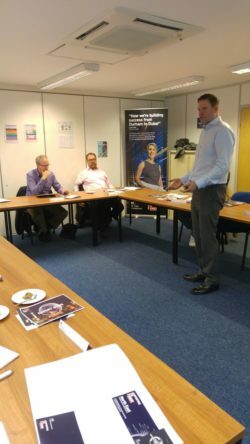 Aimed at smaller companies that are not currently exporting, the workshop will highlight what you need to do in order to position itself for long-term exporting success. You will discover what the ingredients are of successfully exporting your product or service and the things you need to consider to avoid the pitfalls associated with trading overseas. The workshop will also be an opportunity for you to discuss your business with a UKTI International Trade Adviser on a 1:1 basis.